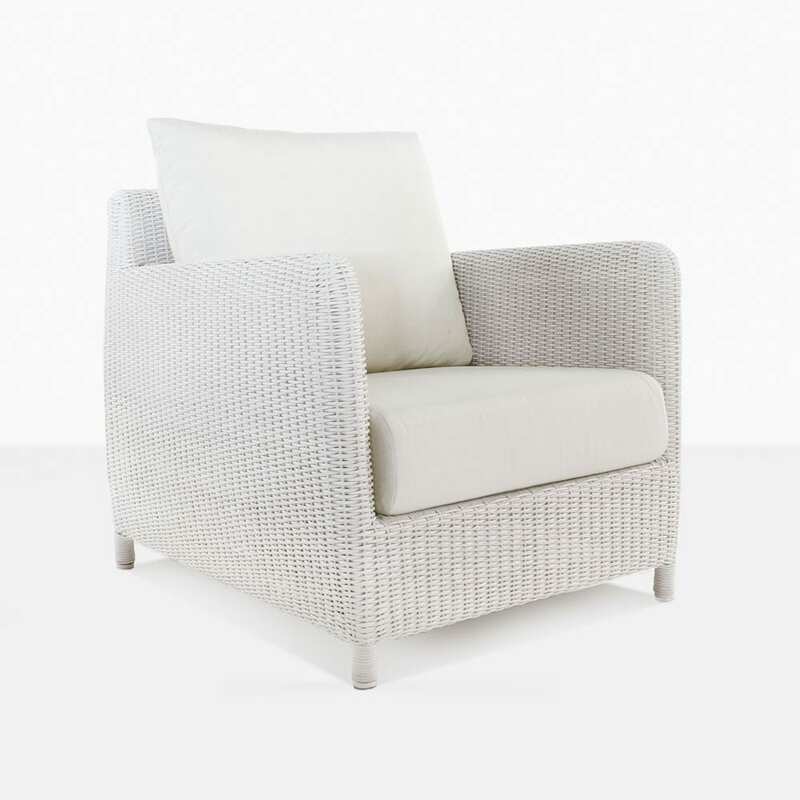 Giving you license to luxury, we invite you to step into comfort and style with the Valhalla Outdoor Wicker Club Chair in glorious White.The Valhalla Club Chair is an important part of a excellent collection. 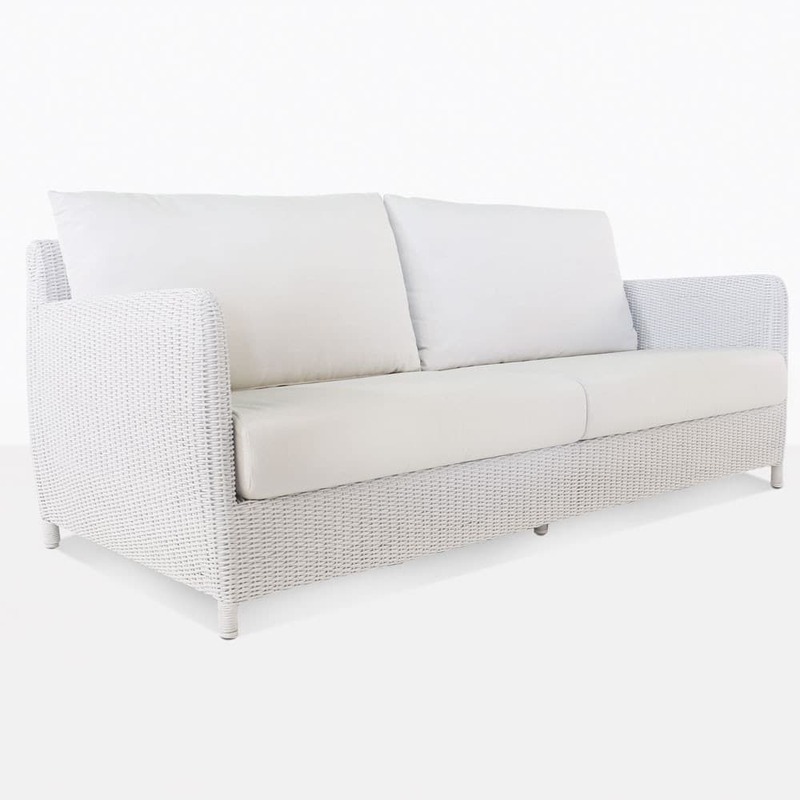 Valhalla takes a leaf out of the style of traditional outdoor furniture with a classic approach. Simple, sophisticated and comfortable, the Valhalla Collection has a deep and wide seat, curved edges and neutral, chic colours. This Valhalla Club Chair showcases the beauty of the wicker and is extremely inviting, with plump cushioning you will want to fall into! Place a Valhalla Outdoor White Wicker Club Chair in a nook of your garden, complete with a side table such as the East Drift Side for a modern and marvellous setting, perfect for you, a book and a cup of tea. After a larger suite to keep you in comfort? Situate yourself in style with a Valhalla Wicker Sofa flanked by two of these amazing Club Chairs. You know you’ve found luxury when you’re in Valhalla. The amazing Valhalla Wicker Collection is made from the best of the best materials suited for outdoors. A powder coated aluminium frame will keep your furniture’s shape, being a robust material that will resist rust. 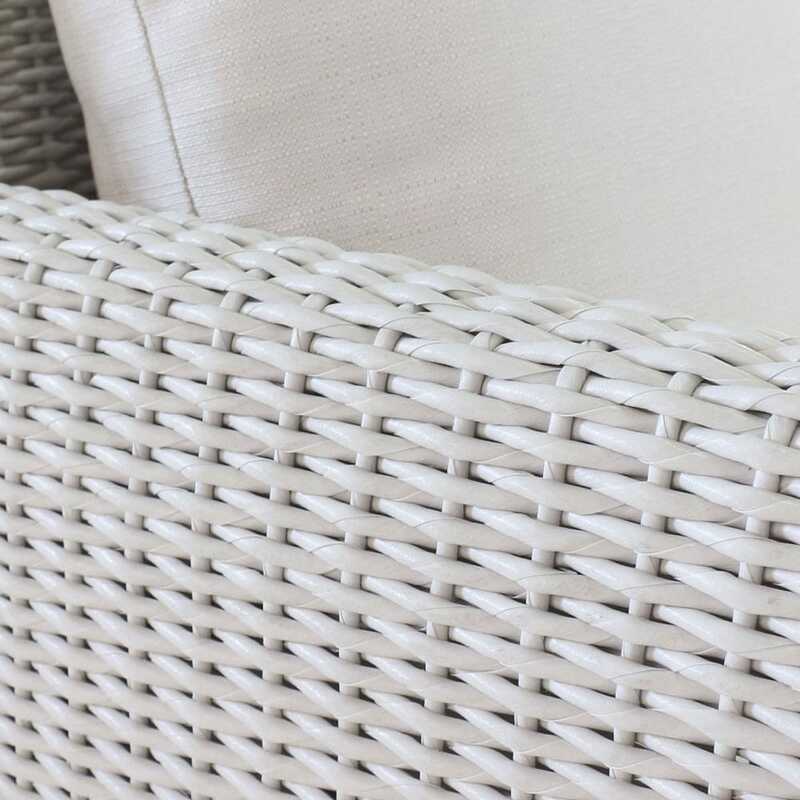 Wrapped around this strong frame is our all weather wicker in stunning white, which is through dyed and UV treated to ensure a long lasting, elegant product that looks good year after year. 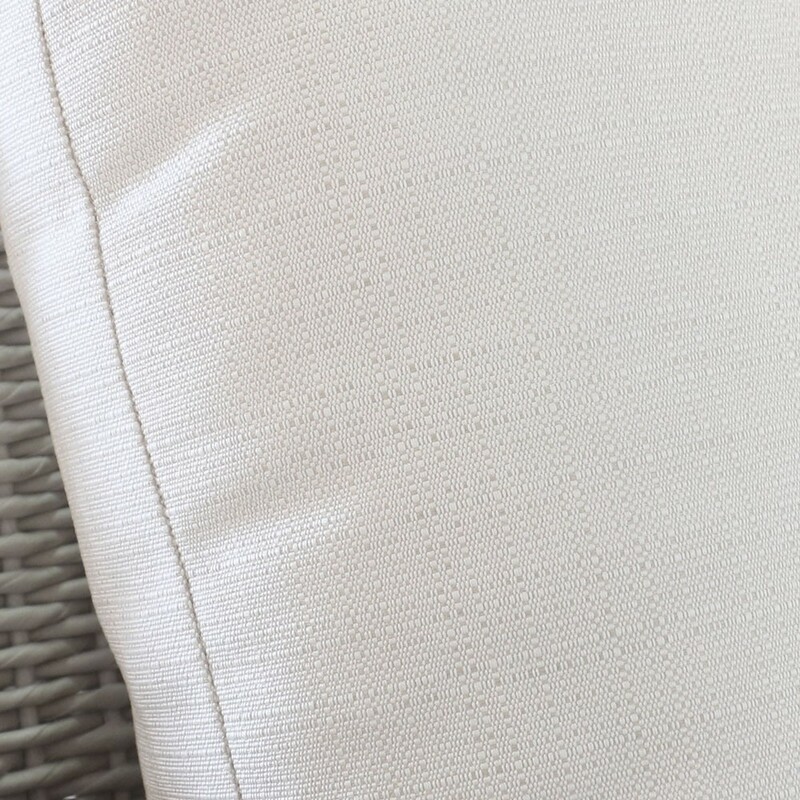 Last but certainly not least, the Sunbrella® cushions filled with plump, comfortable QuickDry® foam means that while your furniture looks gorgeous and luxurious, you have the assurance that it is a high end, quality product that will last you for years. Design Warehouse is the leader in outdoor furniture – from our amazing all weather wicked, to other materials of deep seating, dining and bar furniture, umbrellas and relaxing chairs! Curate the best open air living area! Settle into magnificent with the Valhalla Outdoor Wicker Club Chair in White, by ordering yours today!